To commemorate the 15th Anniversary of the Celebrate Mexico Now Festival, visual artist Gabriela Galván has devised a sensory food installation experience entitled El Juego de las Transformaciones, or The Game of Transformations. Galván’s sculptures will represent three distinct moments in Mexican history: Prehispanic, Colonial, and Contemporary, telling the story of Mexican culture and cuisine through ingredients, techniques, and words. The interactive sculptures will showcase the rich textures and flavors unique to Mexico, celebrating both tradition and innovation. Celebrate Mexico Now’s Quinceañera with us – come to hear the story, stay to get a taste. Interactive bites from the sculptures and cocktails and will be served. This program is a part of our Global Cultures, Global Cuisines series. Gabriela Galván creates formal meditations on found and everyday object, which are used to activate the relationship between audience and site. Working across disciplines—installation, public art, sculpture, video, drawing, and performance— Galván’s art never settles in a fixed form. Her objects are catalyst for personal and social transformations. She has exhibited in venues such as Museo Nacional de Arte Reina Sofía (Spain), Zacheta National Gallery (Poland), Kuenstlerhaus Bethanien (Germany), and in her native Mexico at Museo Tamayo, Museo de Arte Moderno, and Museo de la Ciudad de Mexico (in collaboration with the Centre George Pompidou), among others. Gabriela Galván was born in Mexico City. She lives and works in New York. In the fall of 2018, Celebrate Mexico Now festival will celebrate its QUINCEAÑERA EDITION with a dynamic range of free or low-cost contemporary arts presentations: from music and film to literature, dance, culinary and visual art; all featured in major venues across New York City. For the past fifteen years, the festival has invited audiences to celebrate the creativity, heritage, and heart that contemporary Mexican artists bring to every arts field. 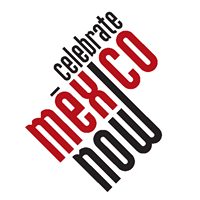 Showcasing the wide range of artistic expression from across Mexico and the US; Celebrate Mexico Now’s expansive repertoire disrupts narrow definitions of Mexican culture by exploring the way contemporary artists are reflecting, reshaping and revisioning Mexican identity in an ever-changing global context. Founded in 1936 by Spanish immigrants, Goya Foods, Inc. is the largest Hispanic-owned food company in the United States and the premier source for authentic Latin cuisine. Combined with authentic ingredients, robust seasonings, and convenient preparation, Goya provides consumers with over 2,500 high-quality and affordable food products from the Caribbean, Mexico, Spain, Central and South America. Through the Goya Gives initiative, Goya has been a proud supporter of nearly 300 charitable endeavors, programs, scholarships, and events that promote culture and benefit overall community wellness. Merci Mercado works to bring exceptional, traditional Mexican ingredients into kitchens around the world. They are passionate about gastronomy and promoting a more diverse world cuisine.